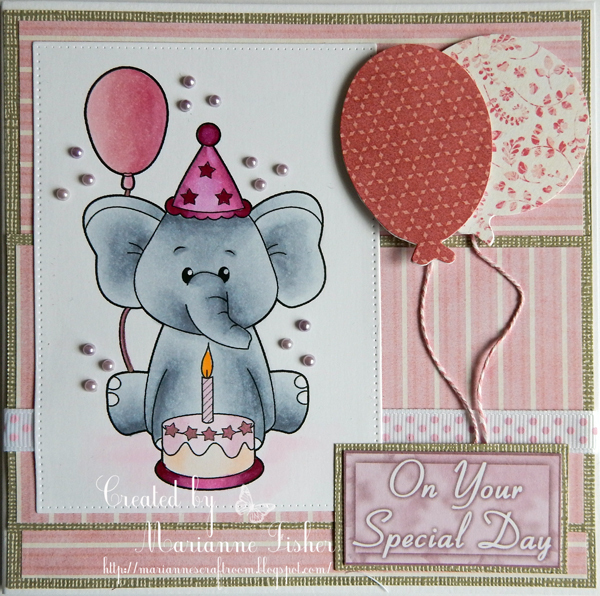 Marianne here today with one of the cute new elephant stamps. This one is Birthday Ella. For more details on my card check out my blog here. Pink Gem Design Sponsor Cutie Pie Chall. blog..